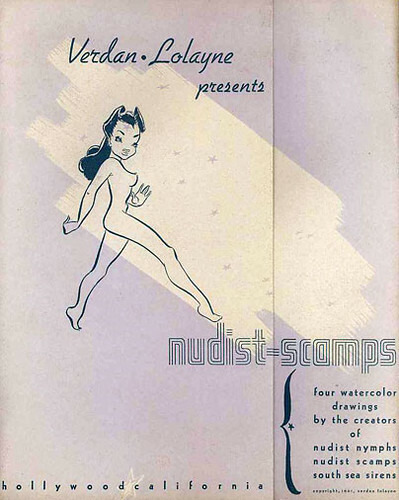 Clearly not by Fred Moore, and it would seem "Lolayne" is an actual individual who did these drawings. Or maybe not. But it's still a neat style I'll post the others if anyone's interested. I do have to say, though, that I prefer the statues to the 2D versions. I'm interested :-) could you please post the others? 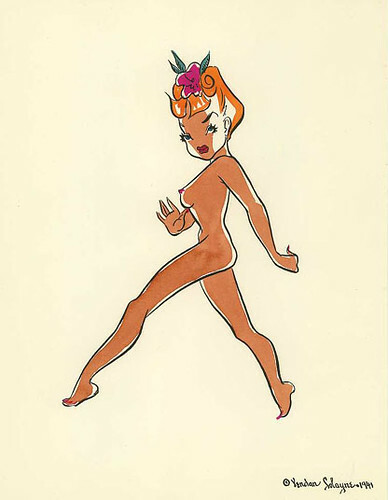 I have the four original verdan pastel water colors of the nudes. I received them in 1965 as a birthday gift from Billie Eckstein, a friend and antique dealer in venice California.